“The magic carpet,” ca. 1860s, via pellethepoet on flickr (under CC license). The picture was a carte de visite (CdV or visiting card), a type of small photograph patented in Paris in 1854. 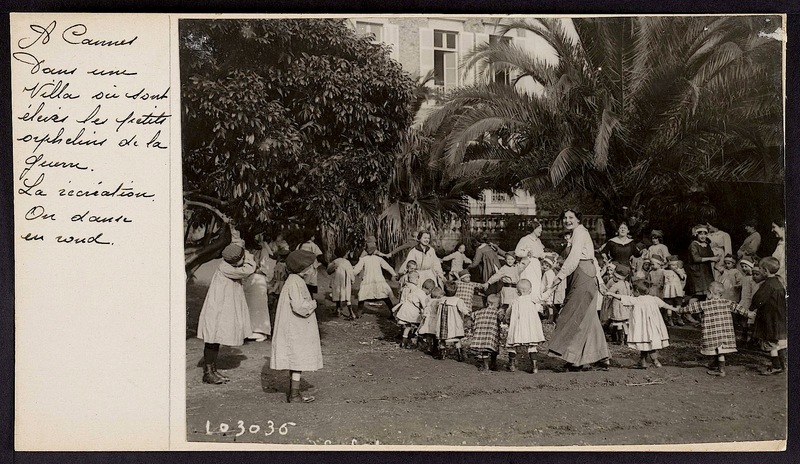 Exchanging them among family and friends became extremely popular worldwide in the 1860s. 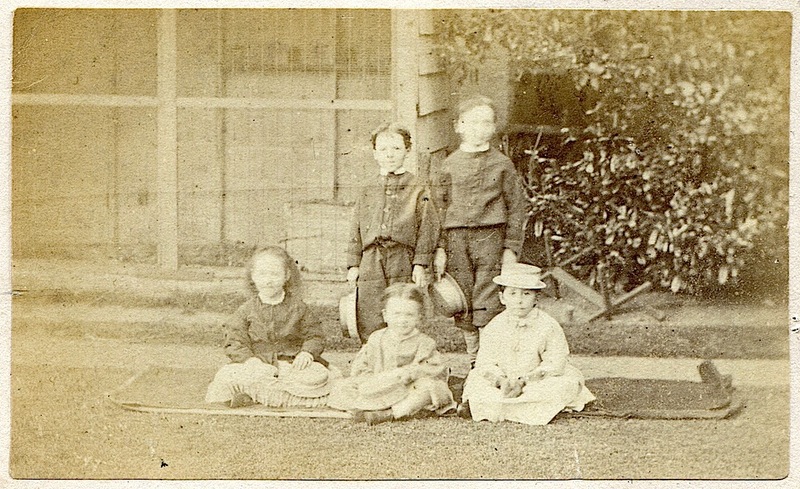 Their use was displaced in the 1880s by the larger “cabinet cards” (and later by the home snapshot). Pelle’s notes say this one was purchased from an eBay seller in Paralimni, Cyprus. 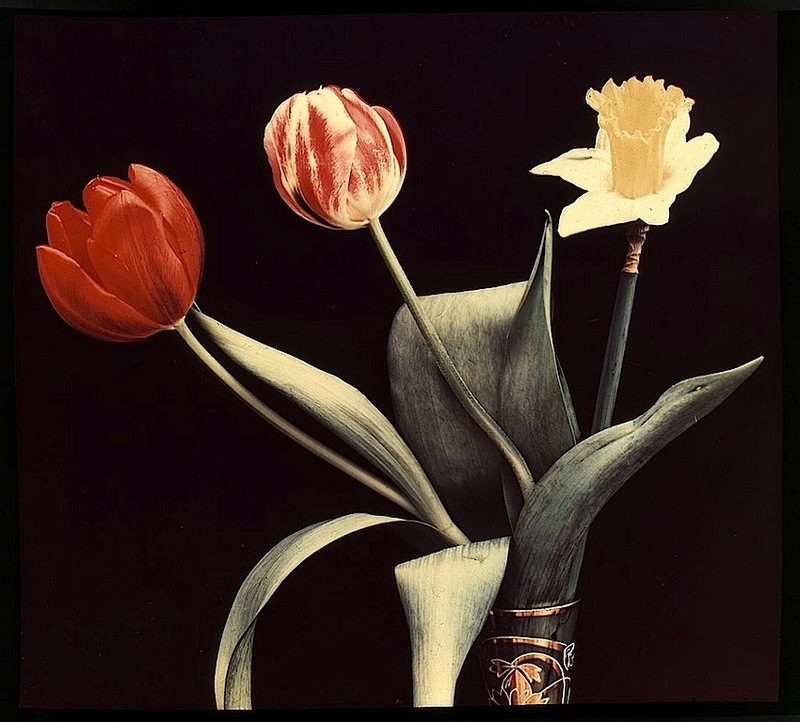 “Still life with motifs of tulips,” by John Hertzbert, an autochrome made between 1904 and 1935, via Tekniska Museet (Sweden) on flickr (used under CC license). 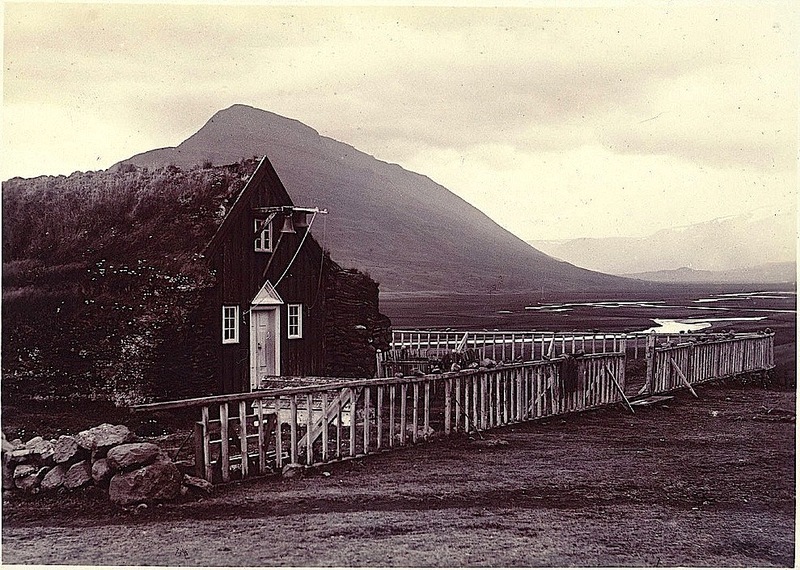 This lantern slide was used in photography class lectures at the Royal Institute of Technology in Stockholm.